We have been coppicing the willow hedge these past couple of weeks at Cae Bodfach. We have had multi functional uses and yields from the willow hedge that was planted in Cae Bodfach only three years ago. It marks a boundary and defines space visually and physically between Cae Bodfach and the wetland. It serves as a wildlife corridor connecting the field to the river. It provides valuable wildlife habitat and an essential early source of nectar for emerging native pollinators and insects such as our honey bee. it can be coppiced and used for firewood and to build structures, such as the willow dome and herb garden built last year! November- When the leaves drop from the stem you know it’s time to cut the willow as the sap will have stopped rising. 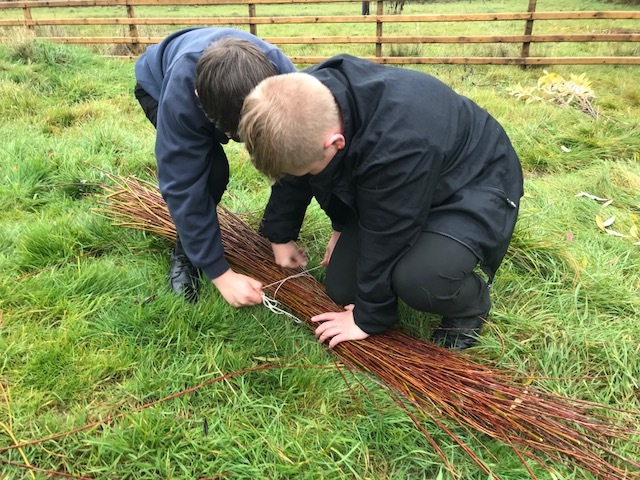 Volunteers Ruth and Alex along with Llanfyllin Highschool students and some members of Mencap have helped to coppice the willow this year. Alex graded the best of the willow by height width and variety. 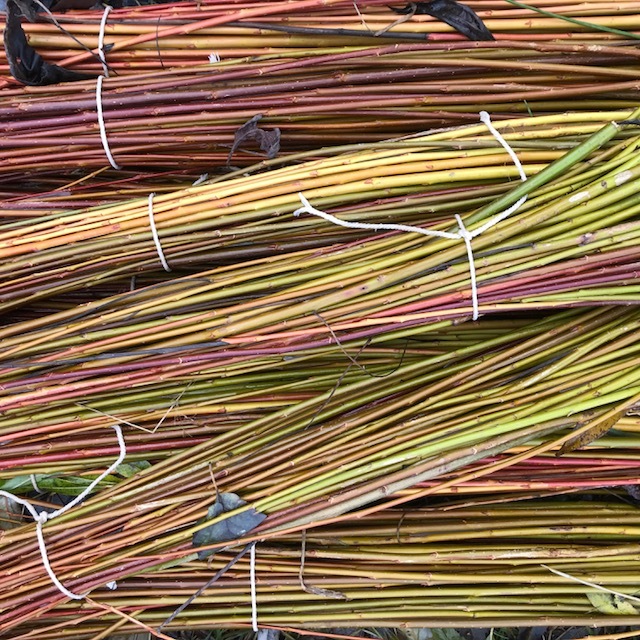 This willow can be used to for willow craft and to create willow structures such as the willow archway demonstration we have planned for the orchard in the next couple of weeks. Come along if you are interested in learning how this is done. Dates are to be confirmed. Working with year 9 and 10 students from Llanfyllin Highschool we have used some of the willow to make brash bundles called ‘facines’ which will be used by the sixth form high school students on a project with Dewi Morris of the River Trust to restore the degraded areas of the cain river bank next week. This is a very exciting project and I look forward to working on and writing about it next week!